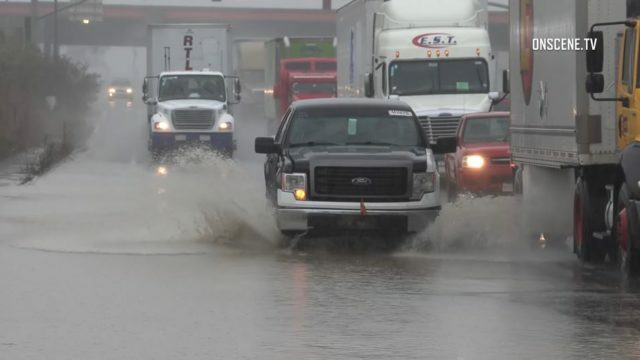 The second of three quick-succession storms in the forecast for the San Diego area this week brought more cloudbursts to the already soaked region Tuesday. As of 2 p.m., two-day precipitation totals across the county varied from fairly skimpy — 0.22 of an inch, in Oceanside — to substantial — 1.94 inches, in Julian, according to the National Weather Service. 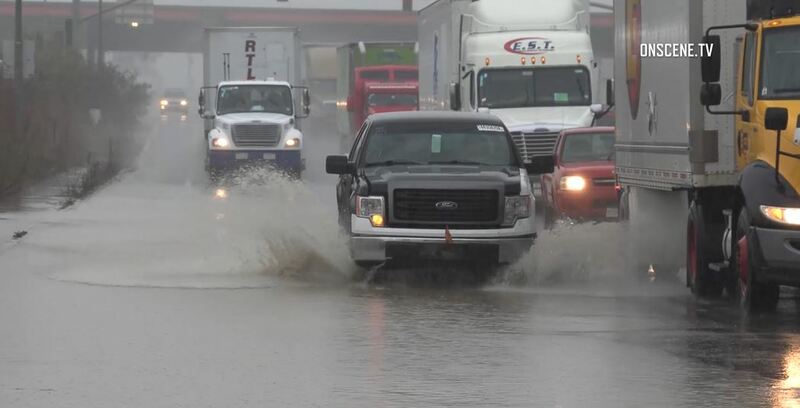 Along the coast, the biggest rainfall tally over the 48-hour time frame was 0.63 of an inch, recorded at Brown Field airport in Otay Mesa and in nearby San Ysidro, the NWS reported. San Diego International Airport received 0.49 of an inch. Across the inland valleys, the top-end moisture reading for the period was 1.24 inches, in Santee, while the highest total for the local deserts was 0.87, in San Felipe, east of Julian. The showers were expected to continue Tuesday evening, then weaken Wednesday morning. A third, stronger storm will deliver a heavier round of precipitation Wednesday night through Thursday evening, according to meteorologists. Dry and warmer weather will kick in on Friday and prevail through the weekend, according to forecasters. Updated 6 p.m. Jan. 15, 2019.